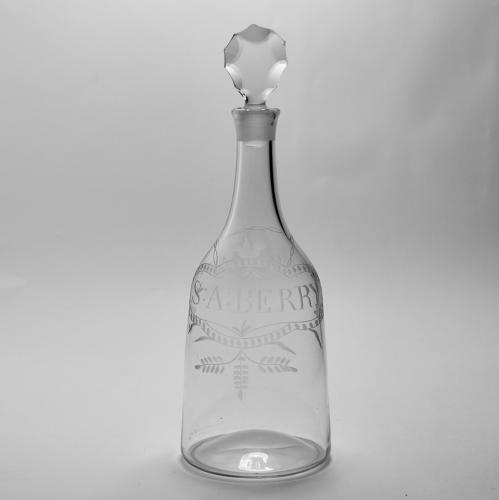 Mallet decanter engraved S. A. Berry within a a faux wine label with leaf fronds and a cut disc stopper. English C1770. Note: This decanter is illustrated on the slip case of the Great British Wine Accessories 1550 - 1900 by Robin Butler published by Brown & Brown Books 2009. I cannot trace a beverage S. A. Berry and open to suggestions.